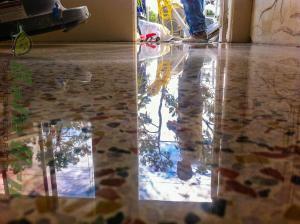 Terrazzo Restoration Gainesville show some images and talks about Gainesville terrazzo floors. Much of Gainesville’s terrazzo flooring was installed from 1958 to 1962. 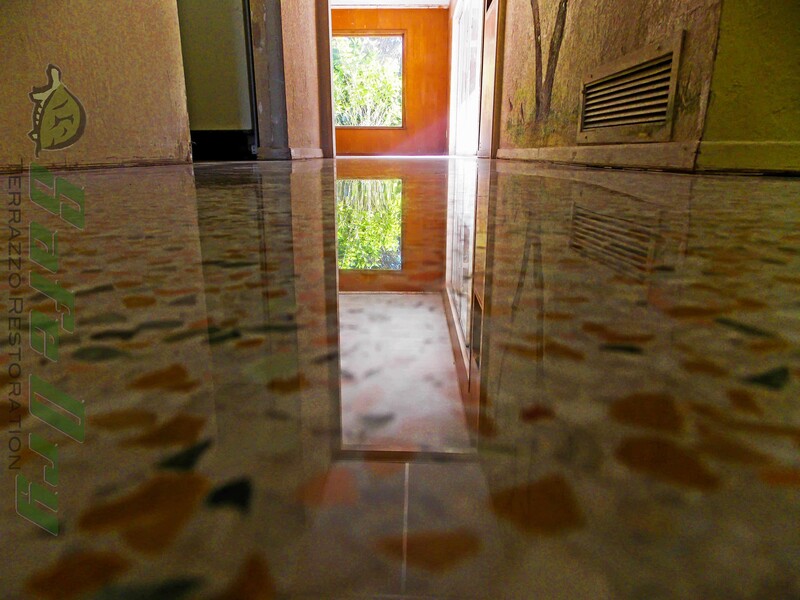 This era saw many terrazzo floors installed with grey Portland cement. 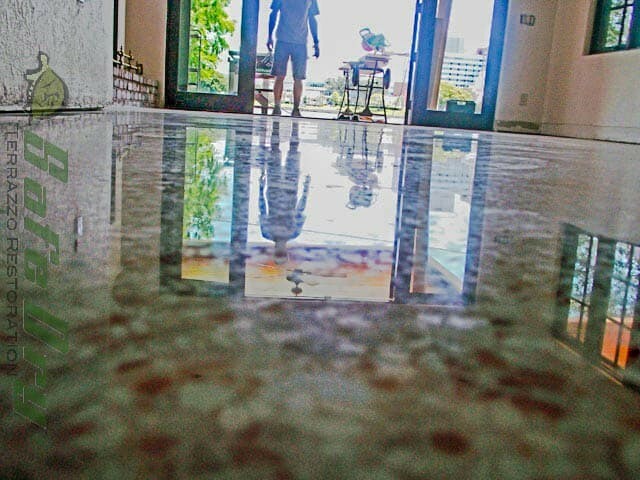 We thing these floors are beautiful and have a lot of potential. 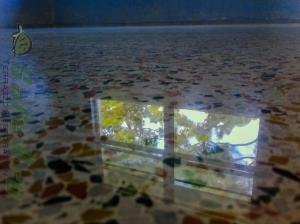 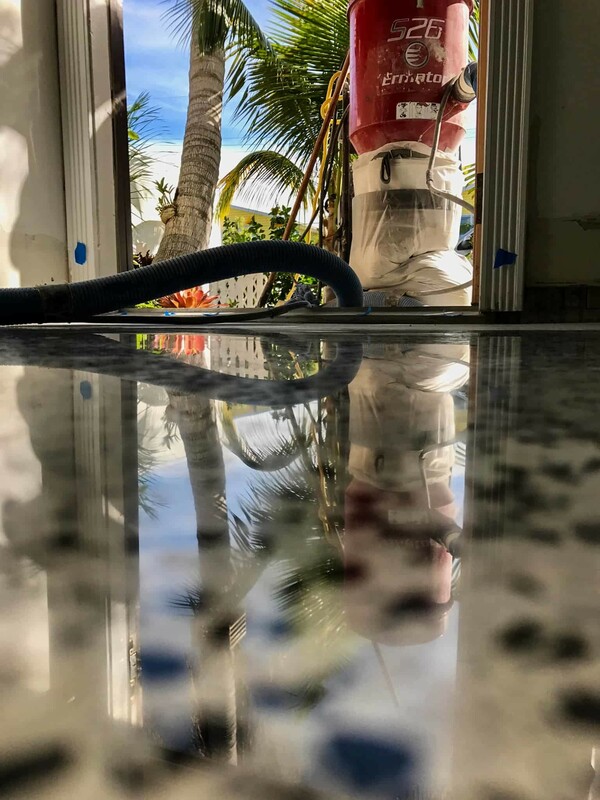 Most terrazzo flooring, in Florida, was installed using off white Portland cement. 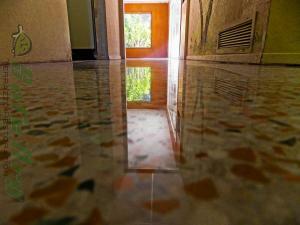 these floors restore with a brilliant beauty. 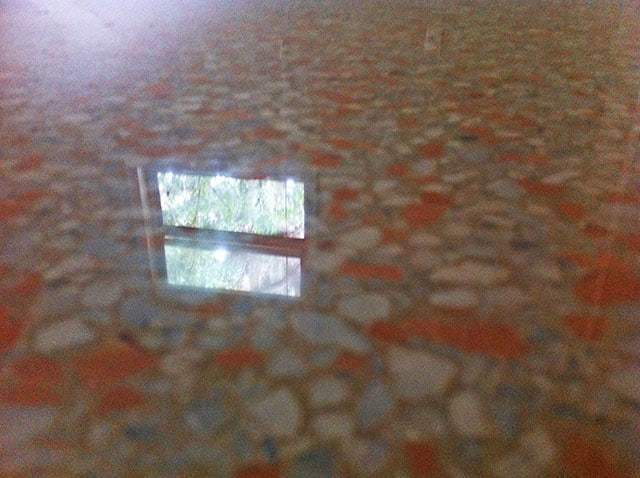 One of the down sides is that most use Georgia white stones. 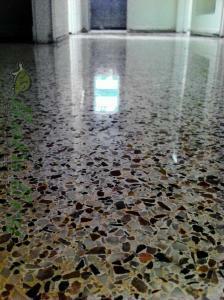 These stones were used as a filler rock and are a low grade marble stone. 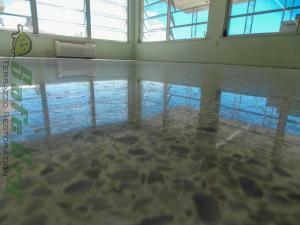 While we can make these floors look great we are limited in how shiny we can make these stones. With grey Portland cement you rarely ever see Georgia white stones. 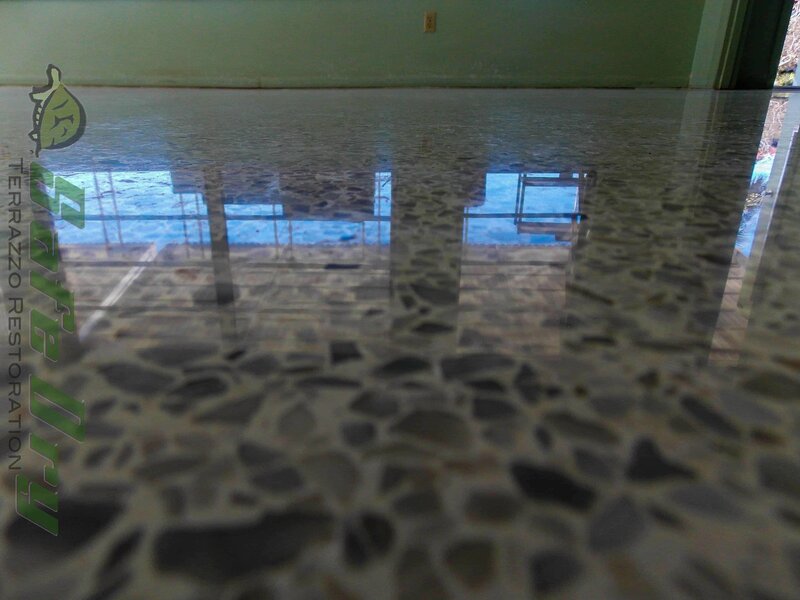 These stones are from medium grey to off white, so they would get lost in a grey binder. 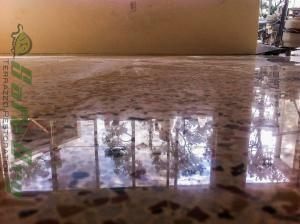 That is good news for grey terrazzo floors. 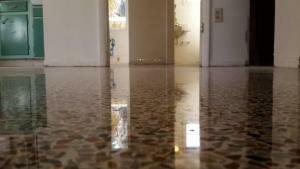 Instead these floors use a truly white stone like China White. 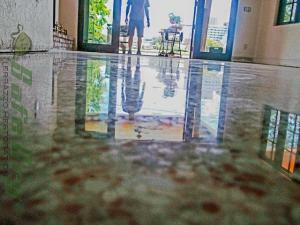 White marble shines great when polished. 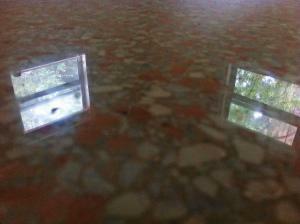 As you can see by the pictures the other rocks are often rose and coral colors. 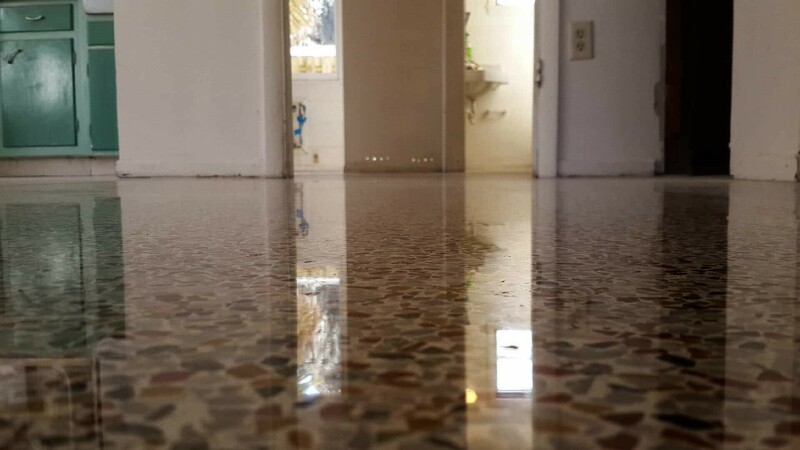 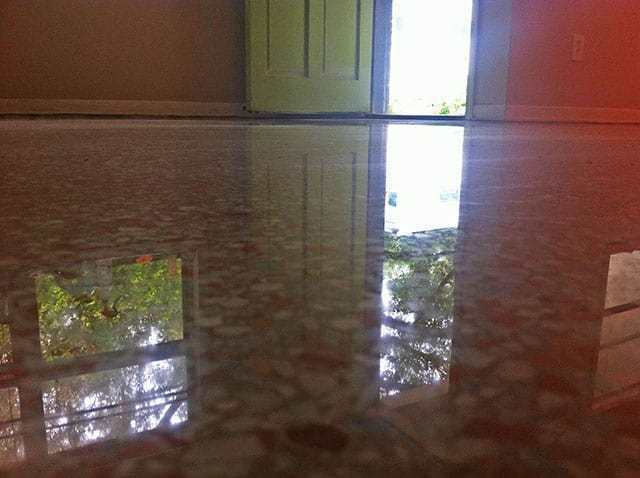 These Gainesville terrazzo floors polish up looking great. 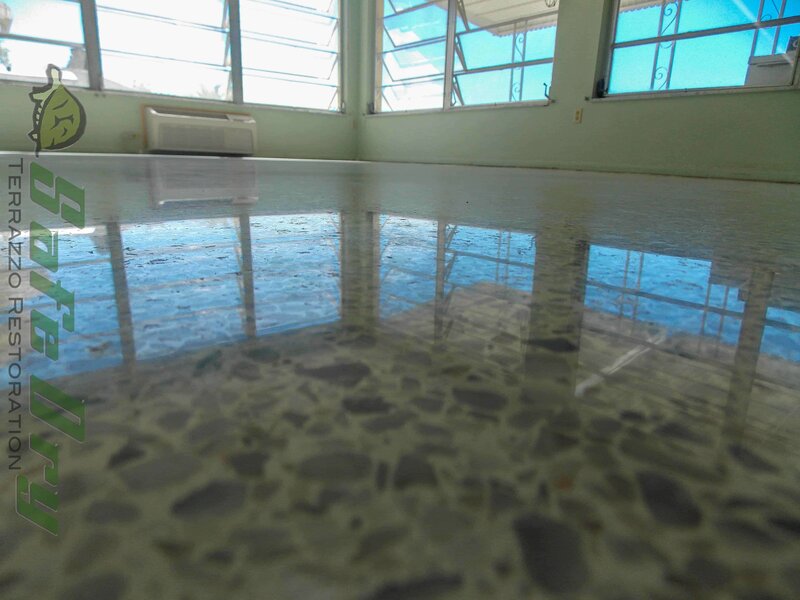 Whether you have grey or off white Portland cement we will make your Gainesville terrazzo floor look great. 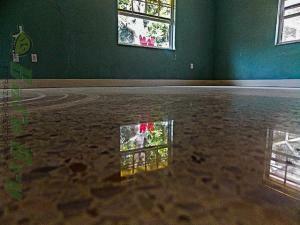 Give us a call if you have any questions, or for a free on site estimate. 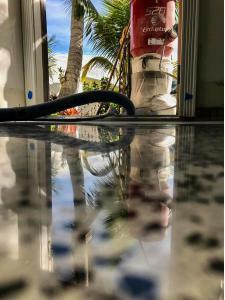 You can also shoot us an email to Joe@SafeDry.com.